Suitable for a hen party with a difference - or just because - come and join us as we hand craft your wedding favours with a group of you and your family or friends. Take part in the creative process, get sticky fingers and have a lot of fun! This workshop will involve an initial consultation about what you would like to create and at that meeting we will set a date for the chocolate making if you wish to go ahead. 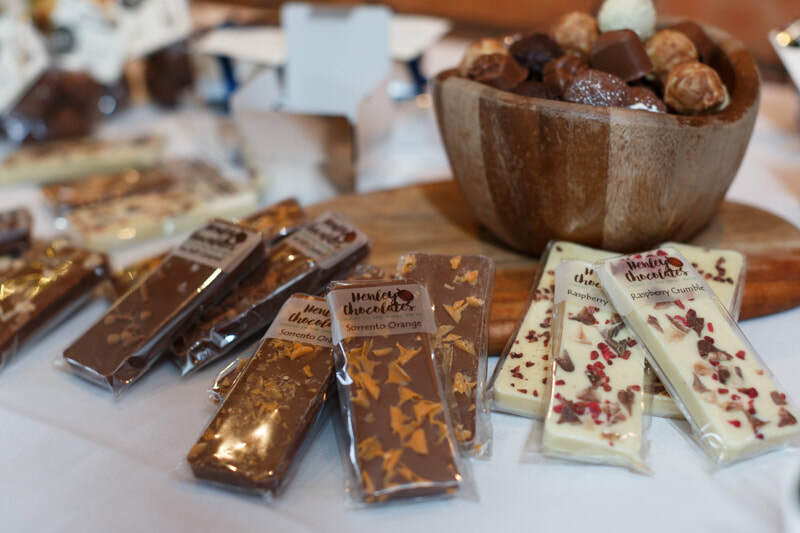 This initial consultation will involve chocolate tasting and you can see a variety of different favour options and put together your plan for what you would like to create. On the day of the making you will meet in The Chocolate Shed and then be invited in to the professional chocolate kitchen of our sister company, Henley Chocolates, who will kit you and your team (maximum six participants) out in professional chef whites, aprons and hairnets and guide you through the making process. 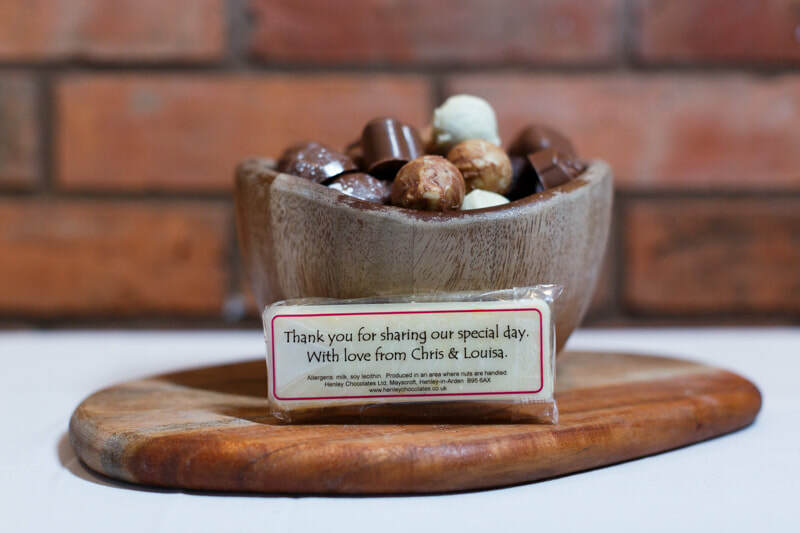 Once your chocolate is set you and the team will professionally pack your wedding favours in presentation packaging with appropriate labelling - favours with a difference. For chocolate centres these can be made between six and one week before your wedding. For solid chocolates they will have a shelf life of twelve months although we recommend coming in around two months before to craft your chocolate creations. We can then give you the favours to take home with you or we can store them in our workshop until just before your big day to retain maximum freshness and temperature stability. No prior experience is needed although good attention to detail will help you tremendously. The cost of this workshop will depend on the number of participants and the type and number of favours that you want to create. The results are usually extremely professional looking - our guests are often very surprised at what they can achieve with the right guidance and techniques.